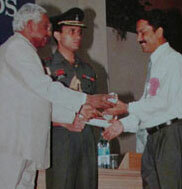 Mr. Vinay Prakash Sood, Assistant Master, Geography was awarded National Award in 1996 by His Excellency, Shri KR Narayanan, the then President of India for his all-round contribution towards the growth of the students and school. 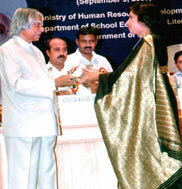 Ms. Sudha Jamwal, Astt Master, English was awarded the National Award in 2006 by His Excellency Dr. APJ Abdul Kalam, President of India, for her all-round contribution towards the growth of the students and school. 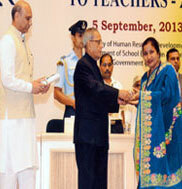 Mrs. Meenakshi Rana, Master (Chemistry) was awarded was awarded National Award in 2013 by His Excellency Shri Pranab Mukherjee, the President of India for her genuine concern for the development of a student. 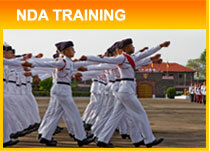 She has displayed exemplary motherly love and affection for Holding House cadets as House Master with round the clock involvement in their welfare and emotional adjustment with school environment.